I’ve been putting off working on the 18th-century-inspired jacket because I had reached the stage where everything left involved hand-sewing. 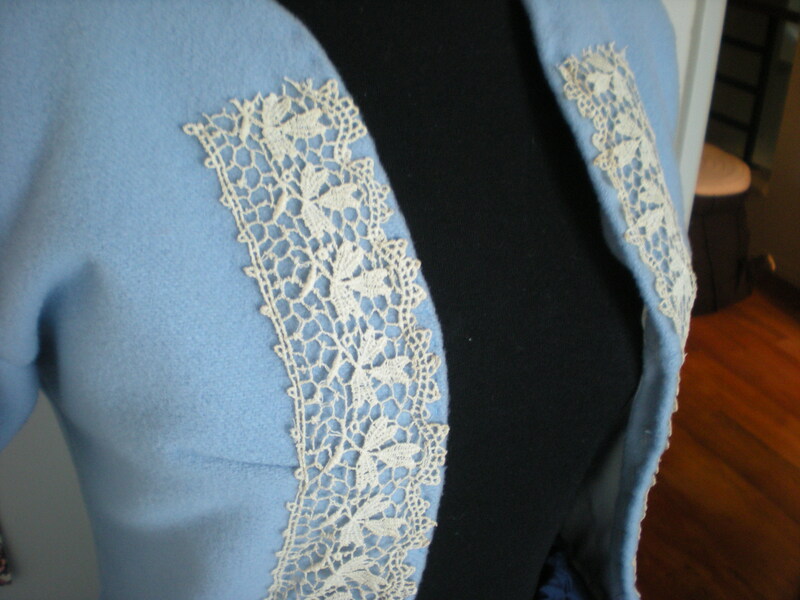 Things that had to be done by hand: top-stitch the jacket front, tack down the vintage lace, attach buttons, make button-holes, attach collar and attach vest fronts. I had jury duty today and spent a lot of time in the waiting room. 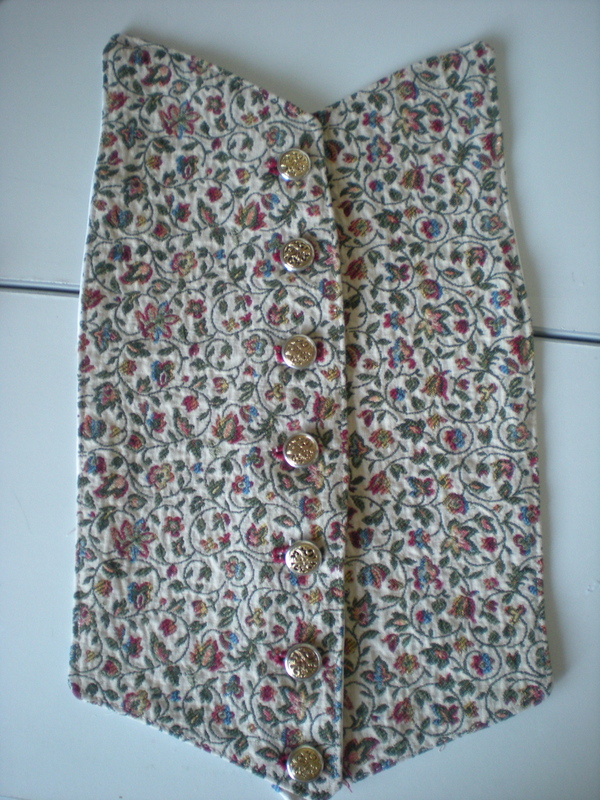 Buttons and button-holes are done! I just need to attach the collar and vest-fronts, do some clean-up and then I’m done! I also made some mini “cockades” for the cuffs. I might also make some for the collar, but that will be saved for another day and another post.